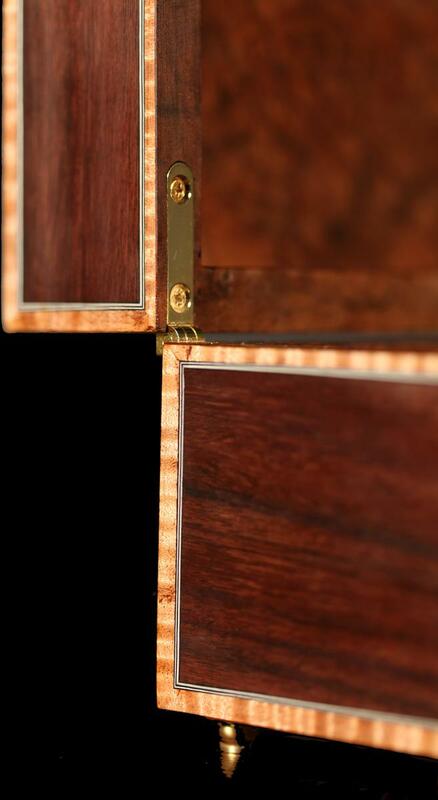 - Exterior is grain matched Indian rosewood, maple binding, mitered purfling, with a white mother of pearl escutcheon. - Interior is lined with walnut burl. 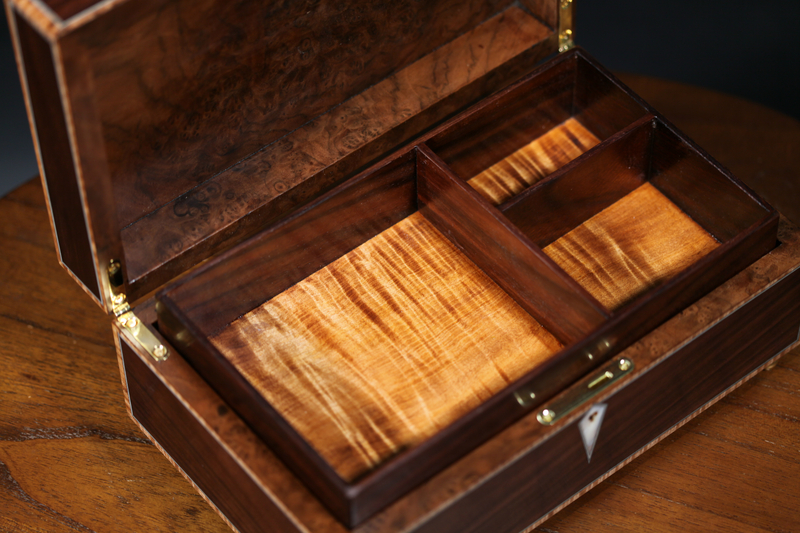 - Inner tray is matching Indian rosewood and maple. - Polished Brass hardware (lock, key, hinges and feet). Aside from making musical instruments, I enjoy making fine luxury boxes. These boxes are made to the same exquisite quality as my handcrafted instruments and are flawlessly finished. They can be sized, and the interior arranged, to hold anything from a single object to a variety of precious items. From a single wristwatch or rare book, to a collection of heirloom jewelry or cufflinks. 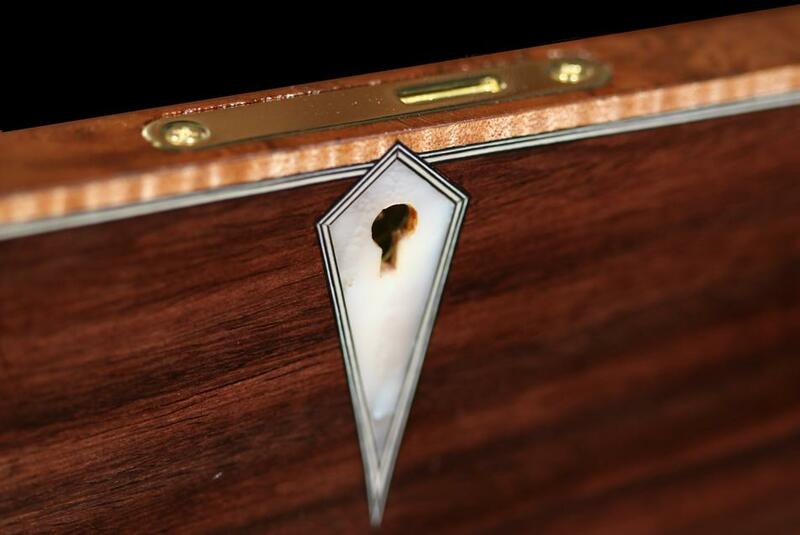 Additionally, a box may be created to compliment your handcrafted instrument for the pinnacle in presentation of beauty. Price is based on the accumulation of these options.